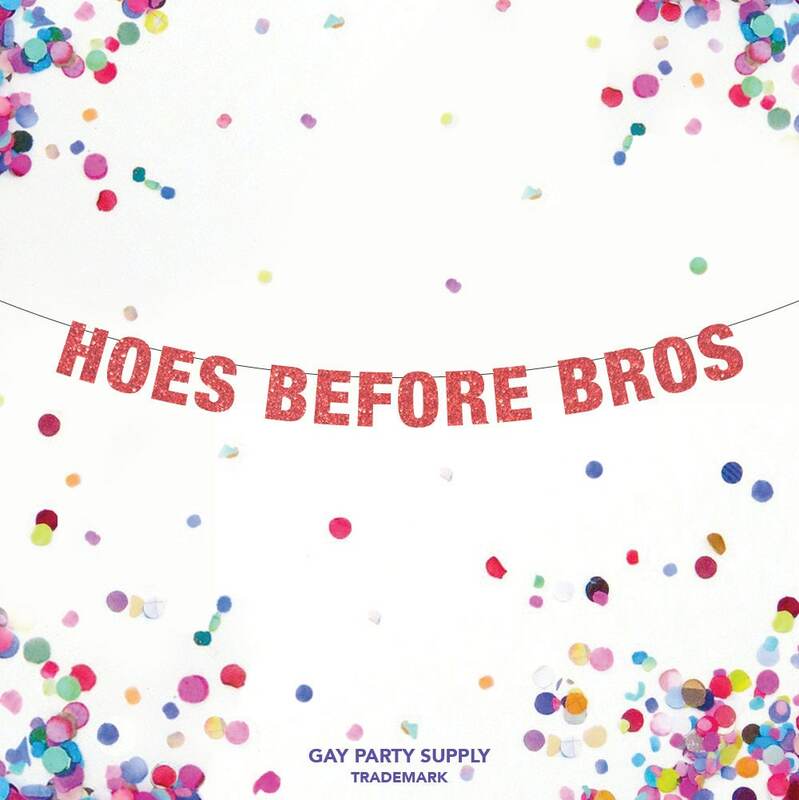 Hoes Before Bros!! This glitter banners is the perfect touch of sparkle for your celebration! 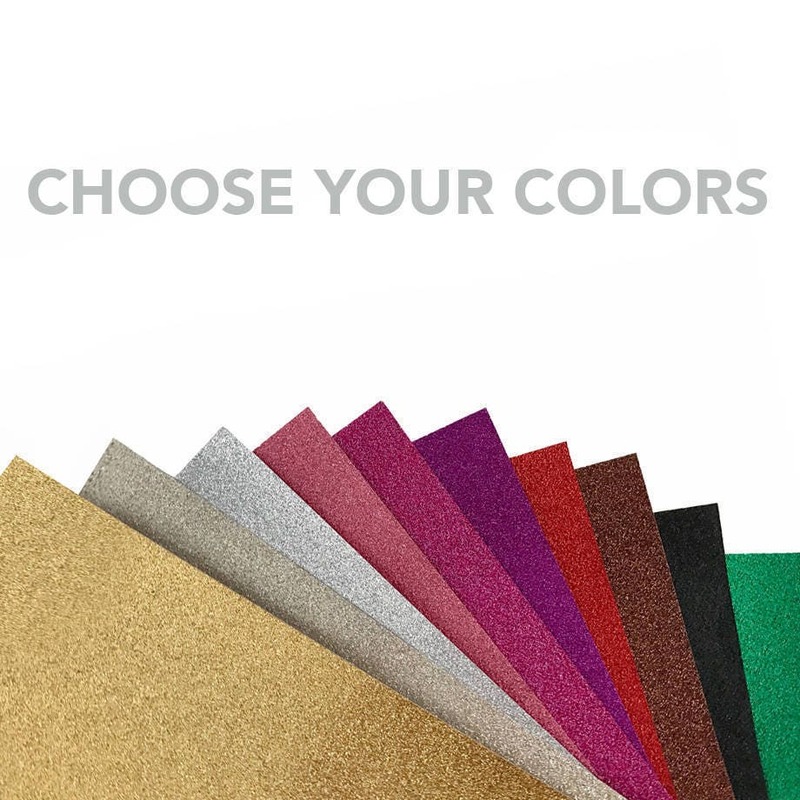 Pick your color from the pull down in glitter Gold, Champagne, Silver, Rose Gold, Pink, Hot Pink, Purple, Red, Brown, Black or Green. This is a single sided banner. The letters come ready to be hung on the string that is provided as part of this kit. Choose 3" tall small letters or 4" tall regular letters at check out. All of my orders are shipped first class mail unless you upgrade at check out. I also offer Express shipping for orders that need to be received in a matter of days. The postal service time varies by location and the amount of service you get in your area.